Happy New Year! It’s hard to believe 2018 is behind us and we’re already hours into 2019. I hope everyone had a safe and fun New Year’s Eve and celebrated that moment where we left the past year behind and embarked on a new one. Did you watch the ball drop in New York (on TV counts)? Share a toast or a first kiss? Or maybe you got a marriage proposal? I do hope if anything life-changing happened that it was a happy, positive moment for you. That moment when we switched from New Year’s Eve to New Year’s Day got me thinking about transitions…liminal moments in life when you know things will never be the same again. That second where something happens out of your control or a conscious decision is made and you have to muster up the courage to leave the past behind and take on a new future. That change can be the best thing that has ever happened to you, but that isn’t always the case and it isn’t always easy to deal with. We’ve all experienced those times in our lives. I can tell you that writers love putting their characters through challenging, critical moments of change. 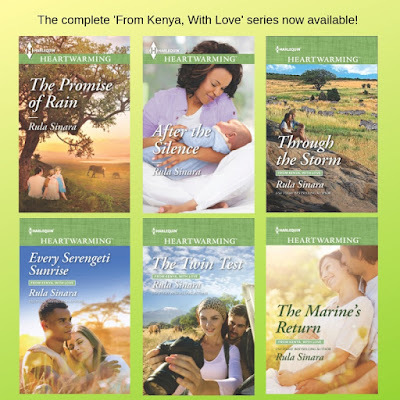 The final book in my ‘From Kenya, With Love’ series released yesterday in print form and it’s out today in ebook format. I feel like a mom with twins born in two different years! What’s funny is that the first book of the series, which was also my debut, The Promise of Rain, was also a New Year’s Day release (in 2014). Coincidence? Hmmm. Who knows?! 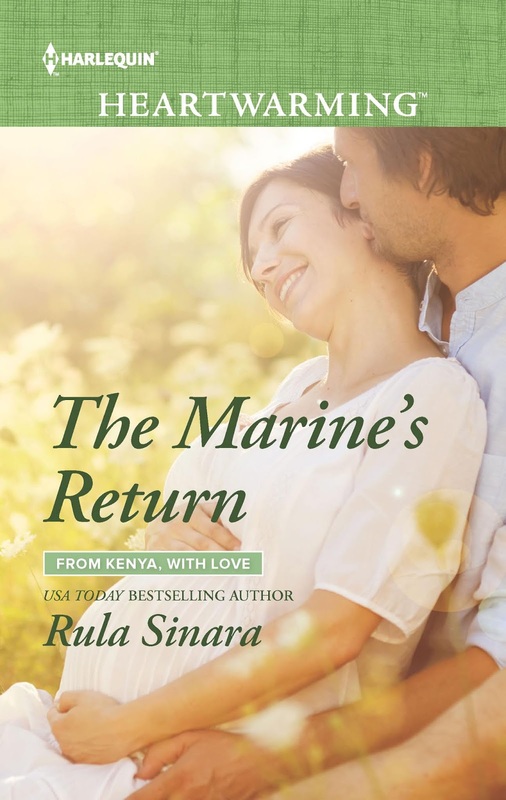 But with this sixth book, The Marine’s Return, the series comes to an end and I’m already working on my next series for Harlequin Heartwarming. I’ve been ‘living’ in Kenya through my setting for so long that this wasn’t an easy change for me, but even harder was the life changes I put my characters through in this final book. Those liminal moments in life. Many of you met Chad Corallis, the hero in The Marine’s Return, as a hyperactive toddler destined to follow in his father’s footsteps in book 2, After the Silence. For Chad, that moment where everything would change happens when he saves a fellow marine during an ambush in Afghanistan…and takes the blast himself. He barely survives and struggles to face a new life with his injuries, which include the loss of his right arm. For nurse Lexi Galen, that liminal moment occurs when she was faced with burying her husband—also a marine—and discovering that she’s pregnant. Deciding to uproot herself and run a clinic in the Masai Mara, while pregnant, is yet another huge change in her life. 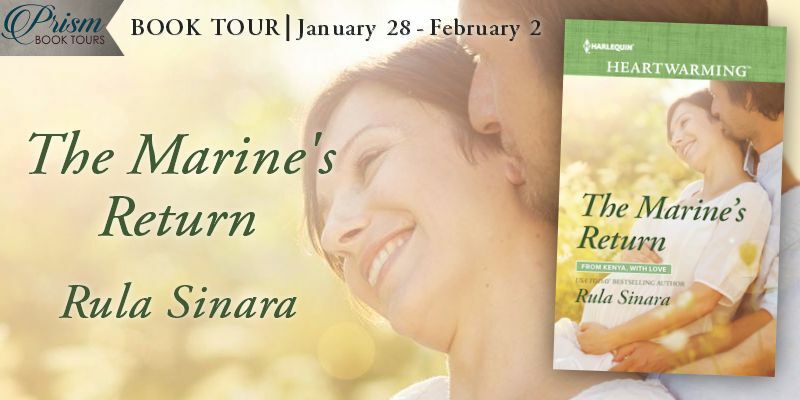 What she never sees coming is having to work with her late husband’s injured best friend…or falling in love again. Transitions and challenges in life include everything from accidents, loss, illness or escaping a bad situation to happy events, such as meeting your soul mate, saying ‘I do’, giving birth to your first child or finally realizing what your purpose in life is and taking it by the reigns. What are some liminal moments you experienced in life (you don’t have to share anything too personal, of course) where you just knew things were changing and would never be the same again? Is there anything you’re leaving behind in 2018? Something you’re looking forward to in 2019? Be sure to stop by my Prism Book Release Blitz this week (ends Sunday) and my Prism Book Tour beginning January 28th! Both include giveaways! Find the Blitz post HERE! Happy New Year and congrats to my fellow January Heartwarming release sisters! The births of my two daughters were definitely life-changing as was selling my first book. Funny thing though, afterwards I realized how much work was involved in both raising children and writing! Yet those two changes also brought me so much joy. 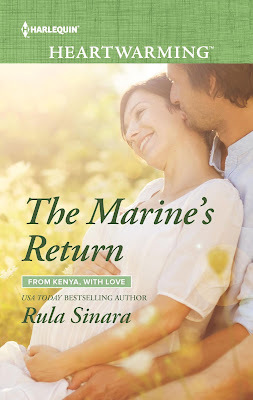 Congratulations on this release and conclusion of a wonderful series, Rula! I’m looking forward to the new one. Happy 2019! Have I told you that I love the last book in your series? But I'm also sad to see it end. I loved the people and the preserves. Have a happy 2019. Aw, thanks so much, Roz. You have been so supportive and the fact that you've read the series means so very much to me! I'm sad to see the series end, too, but at least our stories can live on and maybe one way of looking at it is that every time a new reader picks up the first book, the series starts all over again ;). How's that for positive thinking lol? Happy New Year, Roz! I'm so glad you're working on a new series and congratulations on this release. I know it can be hard to leave a place we've mentally lived in for so long, but our next location softens the blow a bit. But the characters aren't gone. They're off living their lives, just like us. Thanks for your thoughts about those moments when we know nothing will ever be the same again. We can zen about what's bad or good, but the change is real. All the best. Well said, Virginia! All the best to you too :)! Congratulations. I love the way you thought about the book having a release dating straddling two different years, yet only a matter of hours. Great covers. You are such an awesome writer. Can't wait to read Chad's story. I love that your series straddles generations. Liminal is a new word for me--a good start for a new year! My most liminal moment was probably closing up the U-haul, hugging my parents goodbye, and taking off to another state with my new husband. Beth, congrats on having a release this month, too! I'm looking forward to it! Up and moving to a new state is definitely one of those moments. I went through that too! When I was very pregnant with my second child, I hugged my parents goodbye in Texas and moved to Virginia with my husband and a toddler. That was a stressful transition but I don't regret it at all. And just over a year ago, my parents left Texas and moved up here to join us! My liminal moments were probably when the kids were born. In a way, every New Year is, too, because whether I resolve or not, I always intend for the New Year to be the best one ever. Sometimes it actually works. 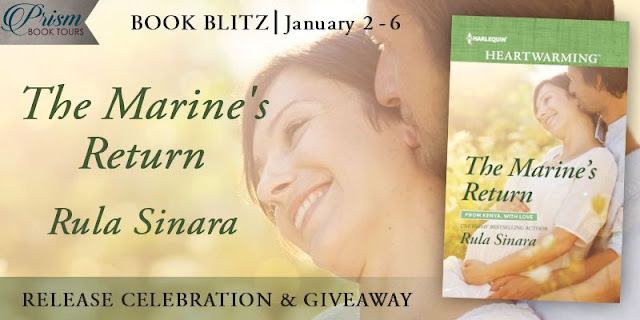 :-) Happy New Year, Rula, and good luck with your dual-year release! Pregnancies and births seem to be the big one for most of us! Must be why I ended up including it as a big part of my heroine's life adjustment in this book ;). Most of us can really identify with it in one way or another, even if it's someone close in the family who is having the child and not oneself. I hope you get your best New Year ever this year, Liz! Hi Carol!! That moment totally counts and it's so romantic! :) Happy New Year! Hi Rula, Congratulations on your new book and on finishing this series! It's hard to move from a location you've written about for so long, I recently went through the same thing. But after some mucking about and feeling lost in my new setting, I actually found that it was very freeing to be writing stories somewhere new! And I'm sure what you're writing next will be as wonderful as these books! Thanks, Claire! And yes, very true :). Having grown up around beaches, I'm really loving the small beach town I'm getting to 'live' in in this next book and ones to follow! I'm so glad you're part of the HW group now :).